You will be picked up by your safari guide either from the Jomo Kenyatta Airport or your Nairobi Hotel. 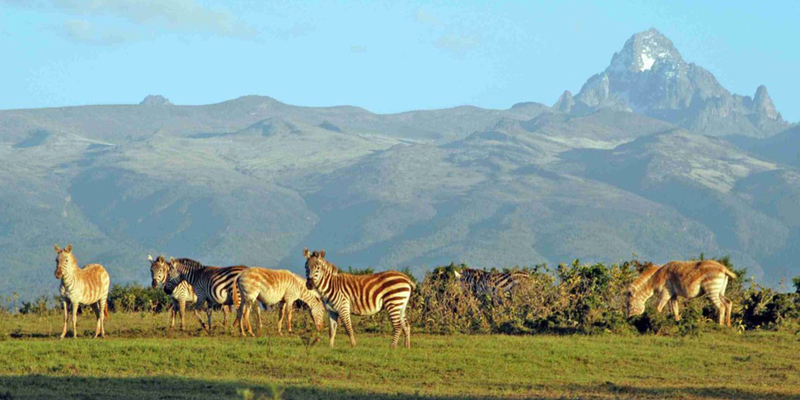 After a friendly Kenyan “Meet and Greet” you will depart for Mount Kenya National Park. Your drive will take you through the industrial town of Thika and the intensely cultivated farms of central rural Kenya. 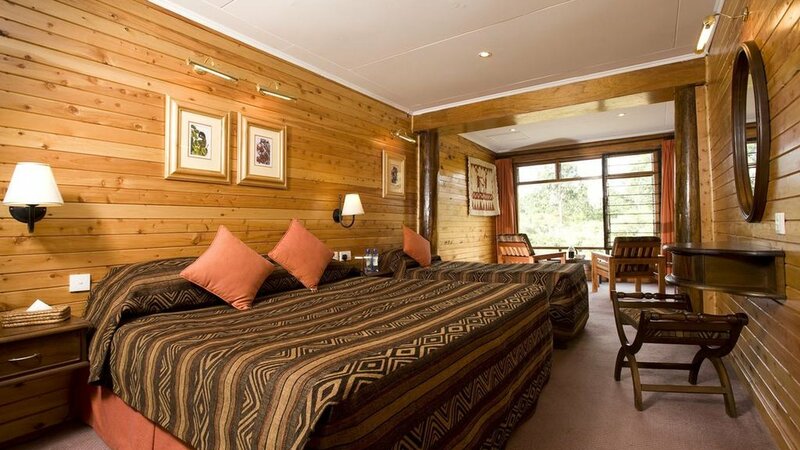 You will arrive in time for lunch and check-in at the Serena Mountain Lodge, situated on the slopes of beautiful Mount Kenya, overlooking a large water hole frequented by Buffalo, Elephant and other thirsty animals. Enjoy a guided afternoon walk through the wonderful mountain scenery or just relax on the terrace and watch out for visiting animals. There is also a hide adjacent to the water hole which offers buddying photographers some incredible photo opportunities. If you want to ensure you never miss a moment of the action at the waterhole you can even request a wake-up call if there is a particularly good sighting during the night. After a delicious breakfast at the lodge it is time to checkout and set off on your scenic drive to the Samburu National Reserve, arriving in time for lunch. After lunch there is a little time to settle in or have a quick nap before you set off on the first game drive. Your Lodge is situated in an elevated position on the banks of the Ewaso Ng’iro River, with panoramic views over the vast Samburu shrub land and beyond. The cottages are built in a traditional Samburu style to blend perfectly into the environment. The Lodge terrace overlooks a water hole frequented by quite a selection of animals which you can enjoy watching as you sip a cocktail. Your afternoon drive will usually have you back in camp by sundowner time, but it all depends on what enthralling sightings you come across! Look out for the Special Five, as well as the Big Cats and everything else in between. Start your day with an early morning wake-up call so that you never miss a moment of the action. A morning game drive is often the best time to see many animals on the move before the heat of the day sets in. Return to the lodge for breakfast and some time to relax and absorb the unique atmosphere of Africa, as you gaze out over the plains. You can enjoy the refreshing swimming pool before and after lunch, and then it will be time to set out into the Reserve again on your afternoon game drive. The Samburu National Reserve is a game reserve on the banks of the Ewaso Ng’iro river in Kenya. On the other side of the river is the Buffalo Springs National Reserve. The park is 165 km² in size and is situated 350 kilometers from Nairobi. In addition to all the animals already mentioned, keep a look out for Olive Baboons, Warthogs and many species of antelope. There are also over 350 recorded species of birds in this Reserve including Kingfishers, Sunbirds, Bee-eaters, Storks, Hornbills and many raptors. After breakfast at the lodge you will set off back to Nairobi, arriving around 1400 hrs. You will then be transferred to your Nairobi hotel or the airport for your departure flight. Kenya Exotic Safari can be upgraded to a higher standard accommodation and Transport using 4×4 Landcruiser at an extra cost. It can also be cheaper if less expensive (but still good quality) accommodation is used. The above prices are based on a minimum of 2 persons. A price reduction is available for numbers above two persons. Six persons may enjoy up to 25% saving on the per person rate!